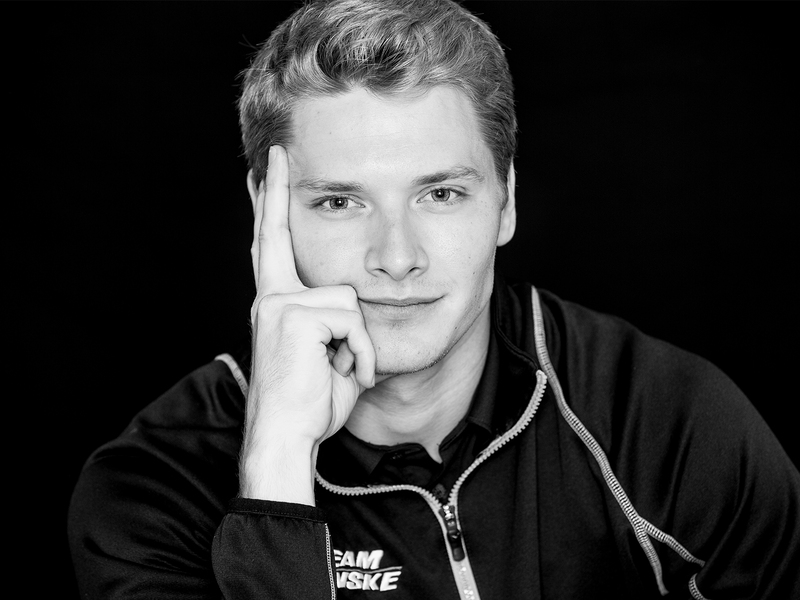 In his first season driving for Team Penske, Nashville's Josef Newgarden won four races and the IndyCar series championship. Red and white star-shaped confetti rained down all around him. Championship hats were passed out in droves to members of his Team Penske racing team. And finally, he raised the sterling silver Astor Cup high above his head and brought it down for a kiss and a sigh of relief. Winning the 2017 Verizon IndyCar Series Championship brought Josef Newgarden all of this last Sunday—and more. The 26-year-old driver from Nashville had more text messages to answer than the number of laps he completed at Sonoma Raceway to secure his first championship. And he still hasn’t responded to most of them. Among the congratulators were NASCAR drivers Ryan Blaney and seven-time Monster Energy Cup Series Champion Jimmie Johnson. Newgarden said of the hundreds of messages he received, he particularly liked the ones from within the realm of motorsports. After all, racing is in Newgarden’s blood. He’s been driving competitively for half his life. That’s what they did. Newgarden and his father drove roughly five hours from Nashville to New Castle, Ind., almost every other week for a good part of of Newgarden’s childhood. New Castle owned the nearest competitive go-kart facility. Indianapolis sits a few cities removed from New Castle, almost directly to the west. Little did Newgarden know that when he and his family would pass Indianapolis on their way to his go-kart races, the young, aspiring racer would one day emerge victorious in the Series that Indy is famous for. ​Newgarden grew up watching IndyCars on TV but didn’t picture himself possessing the competence to command them, let alone having the talent to win the series championship. But when Newgarden rose through the junior ranks with surprising success, reaching the professional level quickly transitioned from a childhood daydream to an attainable reality. After eight long years of moving from one level to the next, Newgarden became that “crazy” driver when he strapped into an IndyCar and started his first series race at the age of 21. Transforming into the champion he is today took time, too. In his first three seasons, Newgarden failed to win a single race. He only led 21 total laps in 51 starts during those years. Success started to manifest in year four when Newgarden claimed two victories. He broke his right hand and clavicle in a nasty wreck at Texas Motor Speedway in 2016, a wreck that could have derailed other careers. But just 28 days later, Newgarden led 282 of 300 laps at the Iowa Corn 300, where he claimed his third career win. Then, at the end of the season, his phone rang. It was Team Penske. Team owner Roger Penske admired Newgarden’s heroic rebound from injury. A great fit indeed. Newgarden ran strong at nearly every event of the 2017 season, finishing in the winner’s circle four times. He called Team Penske “the kings” of IndyCar racing for the way it sets up each car, and he isn’t reticent in crediting the team’s proficiency for his success. On his end, Newgarden attributed his championship to the way he adapted to Team Penske’s model of success. It’s not easy going from a three-time race winner to someone who’s expected to win Team Penske’s 15th IndyCar Series Championship. But that’s what the team hungered for, and that’s what Newgarden delivered. He came within one spot of a fifth victory on Sunday, but his Penske teammate and 2016 series champion Simon Pagenaud edged him out. Pagenaud finished second in the points standings. Despite taking the overall crown, Newgarden said he not taking the checkered flag upset him even though it was one of his teammates who did. He remained perturbed two days removed from the race even with the solace of reflecting happily on a championship season. But for Newgarden on Sunday, it was plenty good enough to bring him the first of what he hopes to be many more championships to come. If he preserves his aspiration to completely conquer competitors every week, he has the tools with Team Penske and the talent within himself to keep on prospering.